At PetraSlate our passion began with bringing slate roof tiles to the Denver market. There was a void in the roof tile market of Denver and with our connections with slate quarries, we had the opportunity to fill it. Now, if you are looking for that one roofing system which will endure for the rest of your life, one that in some cases around the world have been performing for centuries, slate roof tiles are the only choice. For centuries, slate has been called “the sheltering stone” for not only its beauty and ultimate toughness, but for its uncanny inability to absorb water like so many other types of stone does. Slate roof tiles enhance the look of any architectural style found in Denver. Furthermore, slate roof tiles are available in a wide variety of natural colors ranging from green, gray, black, red, and even purple. 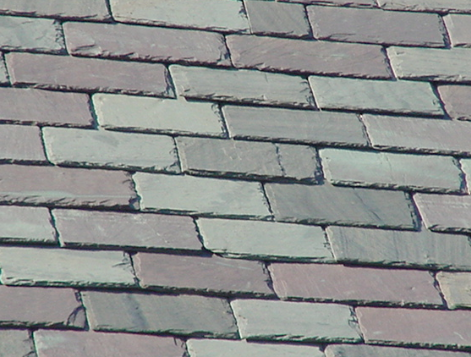 Also, slate is readily hand or factory shaped or thinned to meet any roofing dimensional or pitch challenge. In what other roofing material can you get inflammability, imperviousness to water, an inability to be attacked by insects, moss or mold, and factory guarantees of up to a century in length? Nothing man made can even begin to compare to a natural stone slate tile roof for Denver’s climate. 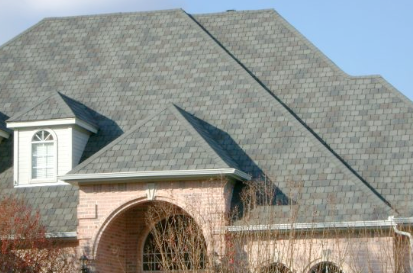 Certainly slate costs more and requires specialist roofers to be installed correctly, but we are talking about a roofing solution that you will need to do only once, one that your heirs may not even have to address during their lifetimes either. A home is still the biggest investment most people own, no matter their income tax bracket. If you have a home that you believe will be of heirloom quality to your family, a home that all of those cherished memories of Thanksgiving and Christmas holidays are set in, why wouldn’t you give that center of your universe the protection that only a slate roof can provide? Slate roof tiles in Denver make so much sense, especially when taking into consideration the weather extremes we can see here. You can readily see why we were enamored with them decades ago. Most every individual slate roof tile we have ever sold in Denver is still on the job on homes all over the region. If you want your family home to have a shot at immortality, contact PetraSlate today.